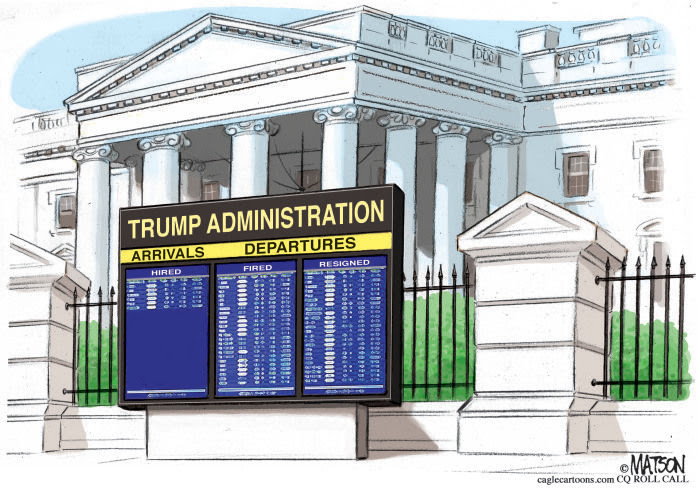 As we close out the week, 10 major leadership positions in the Trump administration — including some of the most critical in the government — are expected to be filled by individuals serving in an acting capacity. The dizzying turnover in the Trump administration has compelled CNN to keep a running list of departures, complete with a chart measuring the number of days each member served. This, of course, came shortly after Trump had just demanded her resignation and then announced the news on Twitter. 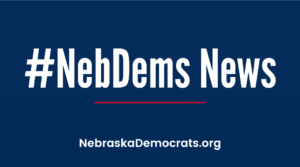 NDP Chair Jane Kleeb praised the strong slate of Democratic candidates that advanced in Tuesday’s City of Lincoln Primary Election and now heads to the May 7 General Election. “The strength of Democratic voters continues to beat expectations as we build our party across the state,” Kleeb said. Advancing in the primary were Leirion Gaylor Baird (mayor) James Michael Bowers (City Council District 1); Megan Stock (City Council District 2); Jane Raybould (City Council District 3); Tammy Ward (City Council District 40; Annie Mumgaard (Lincoln Public Schools Board of Education District 4); Bob Rauner (Lincoln Public Schools Board of Education District 6); and Aurang Zeb (Lincoln Airport Authority). A fascinating analysis by The New York Times found that the Democratic electorate on Twitter is not the actual democratic electorate. … Today’s Democratic Party is increasingly perceived as dominated by its “woke” left wing. But the views of Democrats on social media often bear little resemblance to those of the wider Democratic electorate. The outspoken group of Democratic-leaning voters on social media is outnumbered, roughly 2 to 1, by the more moderate, more diverse and less educated group of Democrats who typically don’t post political content online …. This latter group has the numbers to decide the Democratic presidential nomination in favor of a relatively moderate establishment favorite, as it has often done in the past. The Legislature this week advanced two bills to help victims of Nebraska’s epic flooding, adopting an amendment to provide a tax break for people whose homes were destroyed and laying plans to divert $4 million for flood aid. Under an amendment introduced by State Sen. Steve Erdman of Bayard, persons whose homes were destroyed by flooding, fires or natural disasters would be excused from paying property taxes on the home until it is repaired. Thanks to all who helped make Monday’s Salute to State Senators a rousing success — including our generous sponsors. We finish the week with a rendering from Bill Bramhall of the New York Daily News on the DHS turmoil.